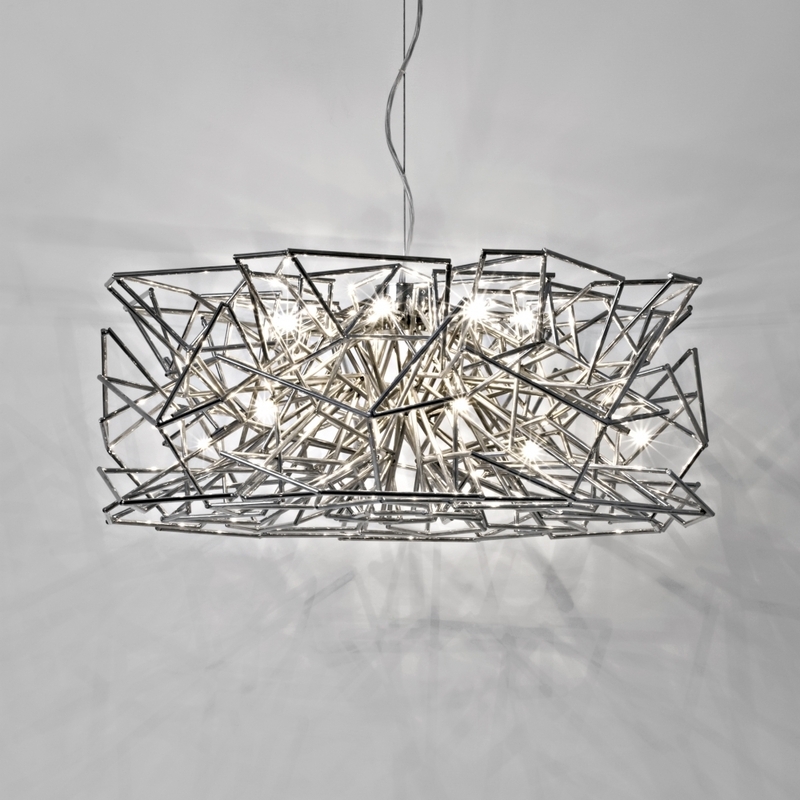 Etoile’s intricate network of intersecting nickel lines recalls constellations in a clear night sky. Strategically placed bulbs cast a starry light, twinkling as viewers move around the pendant. Through projecting these complex patterns throughout the room, Etoile casts a heavenly glow in any space. Design Christian Lava.